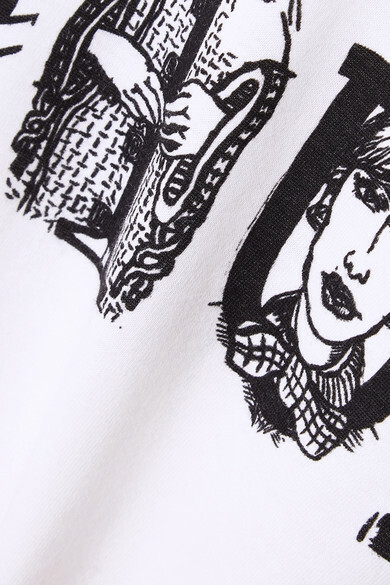 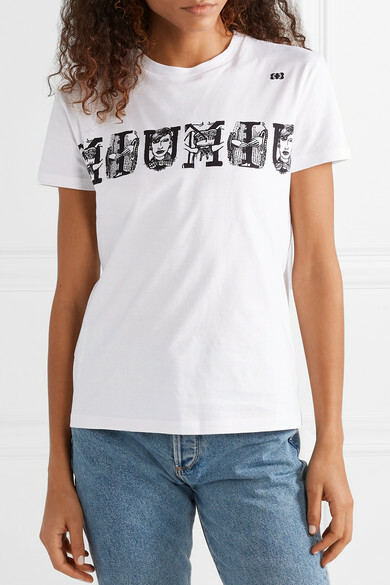 This T-shirt is printed with illustrations peeking out from behind logo lettering. 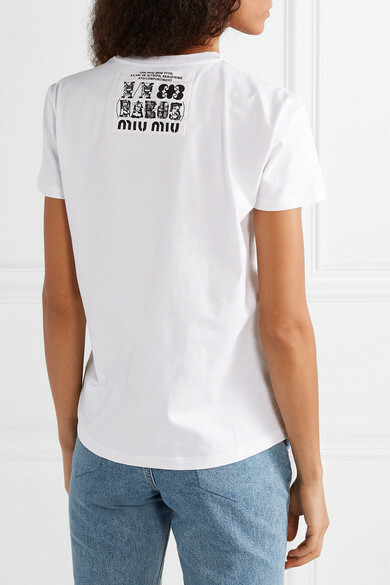 It's cut for a slightly loose fit from white cotton-jersey and further decorated with an appliqué at the back identifying "The Miu Miu Type: An ABC of actions, behaviors and comportment". 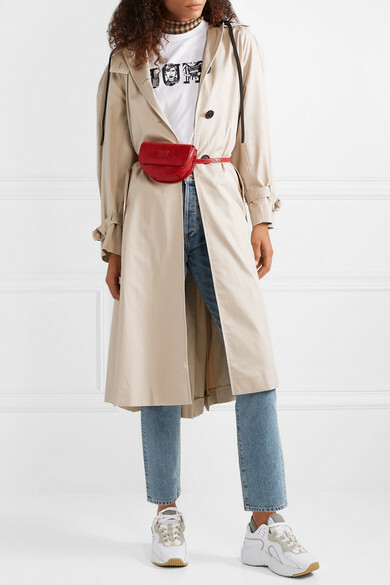 Shown here with: Rokh Top, Miu Miu Trench coat, Goldsign Jeans, Wandler Belt bag, Acne Studios Sneakers.